Are you willing to risk your life for those you love? Are you willing to give up your life so that a loved one can go on living? According to some these are the true, ultimate measures of authentic love. Others think these are only the tests and measures of very strong love but not true of all love. Strong, healthy, real love is measured by how much one values a loved one according to many of the modern and ancient lore master’s of love. How much one values and, therefore, loves another may be measured by how much one will do for the well-being of a loved one. Some of love’s lore masters hold that staying alive so you can continuously aid the well-being of a loved one can be just as important as sacrificing your life for a loved one. Also worth considering here is the New Testament teaching “greater love hath no one than that they lay down their life for another”. Do you suppose that if you are not willing to risk or lay down your life for a loved one your love may not be genuine or sufficient? Do you suspect that someone professing to love you would not risk their life for you? Does that mean that person may not actually love you? Or is it perhaps that they do love you but not greatly or completely? Many of the greatest examples of love’s incredible and wondrous power have to do with people who risked or gave up their lives so that others might live. This is apparently true for many different kinds of love. Here are some examples. Love of fellow humans is exemplified by the World War II servant girl who hid and then smuggled 18 Jews through her boss’s house and out to freedom abroad. Amazingly her boss was a Jew-hunting, Nazi SS colonel. In doing so she risked not only certain death but extreme torture in the inevitable Nazi interrogation process of World War II. Great sibling love is evidenced by the boy who chose not to save himself but instead risked freezing to death while slowly carrying his younger brother through many miles of a severe blizzard which killed a fair number of others. The spouse who steps in front of his beloved and takes a bullet meant for the mate illustrates the extremes to which couple love may be seen in the service of a beloved’s well-being. Parent love is exemplified strongly by both the father and the mother who gave their own life jackets to their offspring as their boat sank in a colossal storm. A pet’s love for its master may be in evidence when the family hound, though grievously wounded, nevertheless, kept attacking the bear that was menacing its master. Comrade love is in evidence in the lives of countless thousands of soldiers who have risked and surrendered their lives to save their brothers and sisters at arms. With these examples in mind how do you think you might act in similar extreme circumstances, or measure up? How do you suppose those who profess to love you might act? Are you and those in your love network growing your love relationships strong enough to meet this criteria of love’s ultimate measure? Perhaps we only can guess how we would actually behave in a situation threatening the life of a loved one, unless we already have encountered such a life threatening situation. Still there are many who proclaim to know that they are certain they would risk their life or give up their life for their most precious and cherished loved ones. Are you one of these? Let us say here that growth often occurs in the contemplation of the question more than in the question’s answer. We do not need to be absolutely sure of what we would do in an extreme situation to be able to contemplate the question and grow from that process. So, to really search into love and its great significance I urge you to quite personally, deeply and seriously contemplate these questions along with some others. We are not advocating a position but rather encouraging thoughtful pursuit into the many mysteries of love. I remember a person who once told me, “My lover said they would do anything for me, they would die for me, but my lover did not even go to the trouble of visiting me in the hospital when I had an operation”. Understandably that relationship ended soon after. Of course we must remember that it is not just in extreme acts that love is made evident but also in day-to-day loving acts. Most love is done one small act at a time, but also with a background of willingness to go to great lengths if the well-being of a loved one requires it. So, are you growing that kind of love in your life? If you think not, or perhaps not, are you getting yourself ready to go after that big kind of real love? Healthy self-love also is to be considered and probably requires some different measures. Contemplate these. Healthy self-love usually demands that you insist on yourself becoming well loved. How are you doing at that? Do you insist that the people around you treat you well or are you prone to putting yourself last and least. Do you love yourself well enough to save yourself, to treat yourself healthfully, to stay reasonably safe, to avoid stupid dangerous risks, and to avoid needless and mostly useless sacrifice? 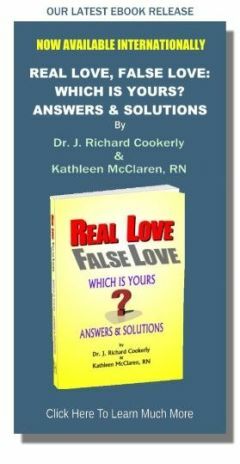 You are urged to ponder these questions about love, and especially about these concepts of love’s ultimate measure. Hopefully you will grow in the process. While you’re doing so perhaps you will pause and silently honor the many thousands who have so proven the power and majesty of real love by giving their lives for those they loved. Also you might pause and give silent tribute to the many whose love of their fellow humans have made the world you live in a better place. Who do you love so strongly and deeply that you would risk or give your life to save their life? 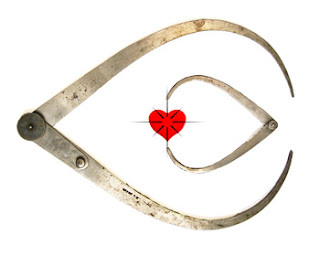 Image credits: Measuring Love, an original graphic by Wade Watson and J. Richard Cookerly.